You are currently browsing the tag archive for the ‘Qing’ tag. I was despondent when I heard that charabanc was being removed from the Oxford English Dictionary. Charabanc or its more common form “chara” is so evocative. 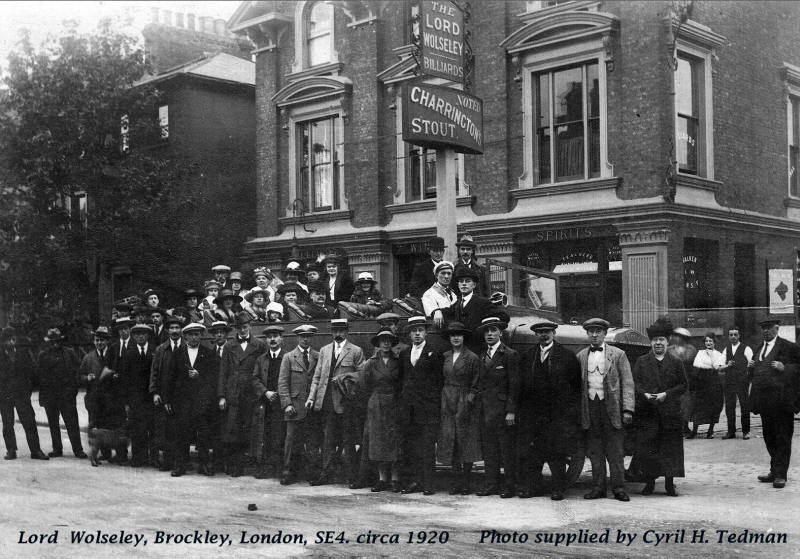 I came across this photograph, of an outing from the Lord Wolseley in Brockley, south east London. The pub is no longer there but was opposite The Wickham Arms pub. Although this was taken some time in the 1920s day trips organised by works, pubs or clubs continued up until the 1970s. “A charabanc trip that people went on from Liverpool to see Blackpool Lights” is how George Harrison described Magical Mystery Tour. It’s this tradition that shaped the coastal towns along the Thames. A fitting destination and well deserved treat for hard working Londoners. During a recent visit to Margate I was pleased to hear that there has been a resurgence of the day trip. 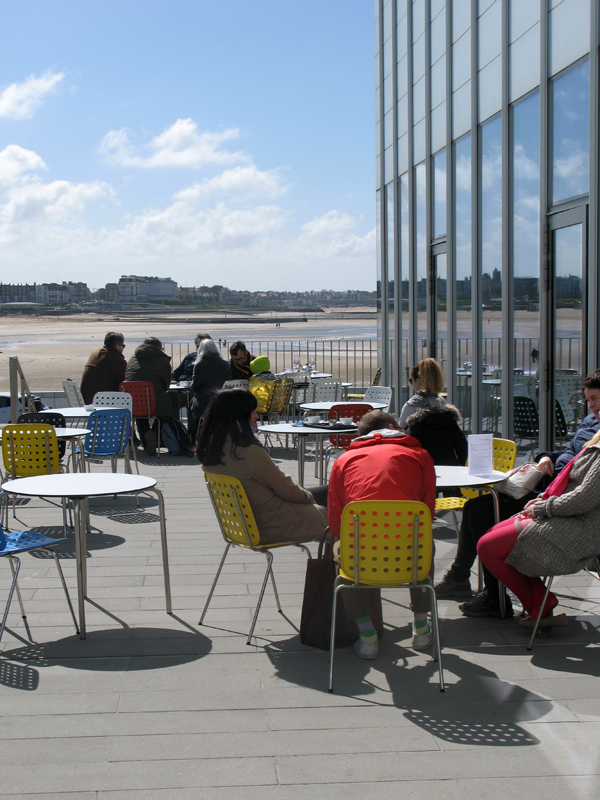 One of the shop keepers in the Old Town explained that the opening of the Turner Contemporary has increased the number of day and weekend visitors. Now I did expect that the Turner Contemporary would contain paintings by the artist. On my visit there wasn’t one, only some of his drawings about perspective. Apparently, there was an exhibition of his painting last autumn. Notwithstanding this the gallery is impressive but mainly because of its position on the beach. Margate has fine Georgian architecture Hawley Square is particularly impressive. Sir Henry Hawley built elegant town houses for gentry in 1762. John Wesley preached his first sermon in the chapel that edges the square. 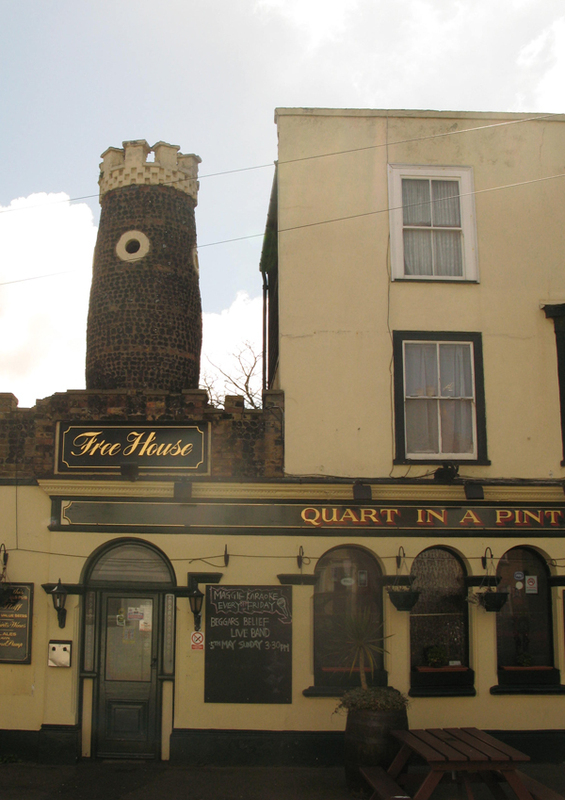 Just off the square is the pub Quart in a Pint Pot which has a most unusual folly on the lower roof. With the increased popularity of day trips leisure palaces were built. I parked close to the Lido which was originally Clifton Baths. There is a lot of hard surface mainly concrete and paving stones along this part of the front. Not a blade of grass to soften this cold and desolate area. On the other side of the bay is Dreamland, which has been the focus of a recent campaign. The pleasure park looked destined to become yet another block of flats but after a long campaign, supported by the council, it is awaiting a new purpose in the regeneration of the town. Margate was one of the twelve towns to receive funding from Mary Portas’ High Street Review. Figures released through a Freedom of Information request in December 2012 revealed that only £111.47 of the £100,000 had been spent. It spent less than all the other schemes purchasing stationery and fees to the Land Registry. I’m afraid the lack of investment showed on the forsaken High Street. In contrast the shops and galleries in the Old Town were vibrant, unique and busy. There is a good range of antique, craft and vintage clothes shops. Qing works with designers from Beijing and has some interesting furniture and soft furnishings. The Pie Factory is the centre for local artists. 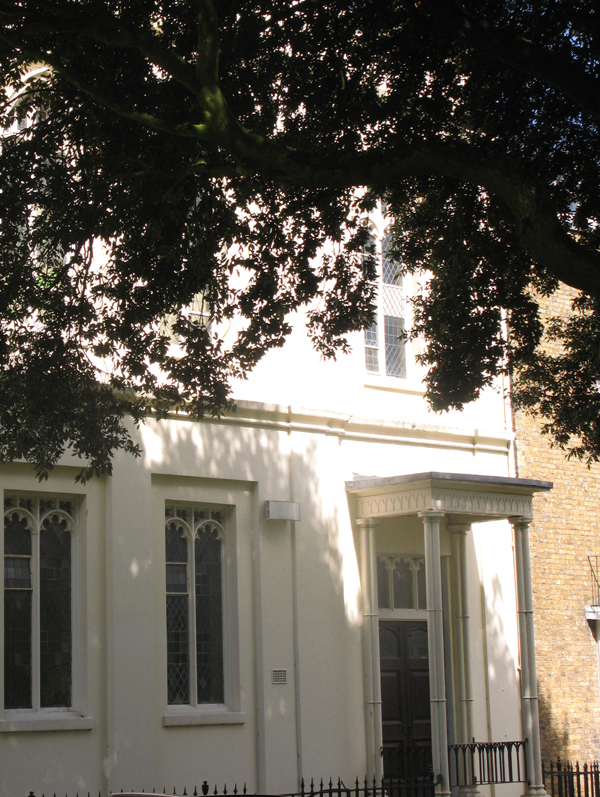 Margate is in transition with some very interesting developments. Would I visit again? Most definitely yes.